Playstation 3 console NO harddrive, does not power on. sold as is. Sony PlayStation 3 Slim 1 TB HDD FW 4.81 W/ Extras (CECH-2001A) PLEASE READ!!! Sony Playstation 3 PS3 Original Hard Drive Cover for CechA01, CechE01, CechB01. Sony PlayStation 3 PS3 MOD SERVICE Play Games From Hard Drive READ DESCRIPTION! 10 product ratings - Sony PlayStation 3 PS3 MOD SERVICE Play Games From Hard Drive READ DESCRIPTION! 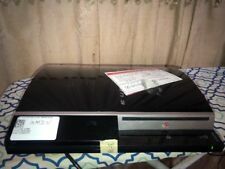 Sony Playstation 3 Model Cech-2501b. PS3 320gb hard drive. This page was last updated: 21-Apr 20:22. Number of bids and bid amounts may be slightly out of date. See each listing for international shipping options and costs.